‘On the eve of the trade ministers’ meeting in Singapore to decide the terms for a final deal on the Trans-Pacific Partnership Agreement, there are signs that New Zealand may become the broker for a deal that the US finds acceptable’, according to Auckland University law professor Jane Kelsey, who is monitoring developments on the TPPA during the WTO ministerial meeting in Bali. Deputy Prime Minister Bill English foreshadowed this last week in his speech to the Trans-Tasman leadership forum. English urged the US to show leadership to complete deal ‘because if they don’t they will lose standing in the Asia Pacific region’. As their long-term allies Australia and New Zealand ‘would prefer that doesn’t happen, so we will be talking about what we can do to help them get over the line’. ‘This confirms that foreign policy and strategic considerations are really driving these negotiations, not New Zealand’s commercial interests et alone defence of our broader national interest’, Kelsey said. ‘It also suggests our negotiators and Minister Groser will bring pressure to bear on other countries that have as much, or more, to lose than we do’. A number of chief negotiators for the TPPA countries have been in Bali this week during the WTO ministerial conference, even though most are not involved in those talks. ‘I saw US chief negotiator Barbara Weisel taking her New Zealand counterpart David Walker and his deputy through a sheaf of papers over lunch on Wednesday’, Kelsey said. ‘It was clear who was leading the discussion’. Ministers have also apparently held pre-meetings. 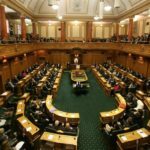 New Zealand seems to be among those pushing hardest for a deal by the end of the year. 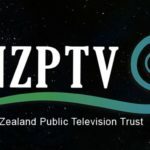 In addition to the chief and deputy chief negotiators, New Zealand will have a full contingent of 13 officials responsible for a wide range of chapters, from health and copyright in intellectual property, state-owned enterprises, and investment through to market access and quarantine issues. It is understood that they will not be negotiating, just on hand to advise chiefs and ministers during discussions on their chapters. Trade ministers from the twelve TPPA countries are supposed to leave for Singapore immediately after the WTO conference closes tomorrow. The Bali talks are stalled, with the US at loggerheads with India, which is representing a large group of poorer countries. The speech from US Trade Representative Michael Froman made it clear that no agreement in Bali would increase the importance of deals like the TPPA. 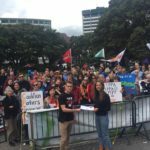 ‘Given New Zealand’s now-partisan position, that should be a major worry for New Zealanders and the more reluctant countries at the TPPA table’, Kelsey said.